Welcome to the ghost chili website! Here you can learn everything you need to know about this organism. Chili peppers have been domesticated through out the world for more than 6000 years. 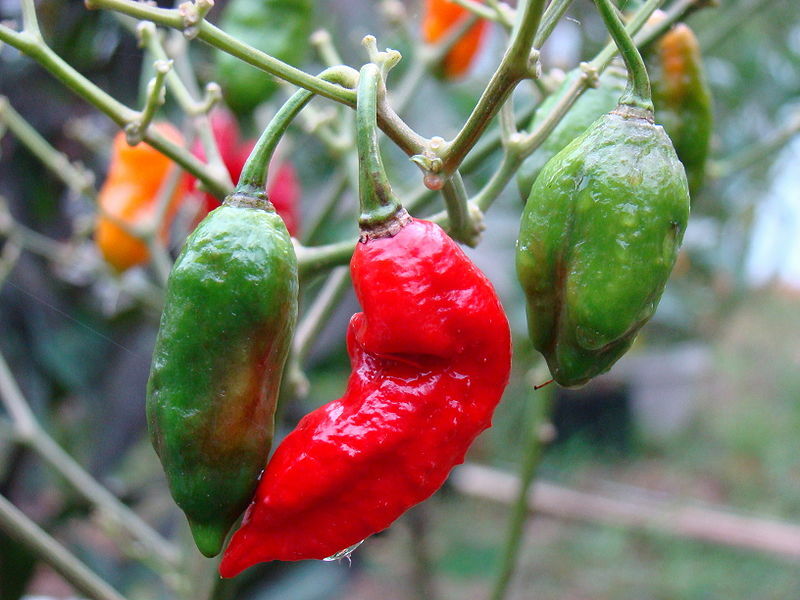 The origin of the chili pepper obsession started in Central and South America pre-Columbus era. It was not until he returned to Spain that the chili pepper phenomena caught fire in Europe. Instantly Chilies became a staple in European cuisine and naturally spread into Asia. Today, one cannot eat in any country with out being offered a choice between spicy and non spicy foods. The hunger for spicier chilies has always been present, however not many people can take the heat of this interspecific hybrid chili has to offer. 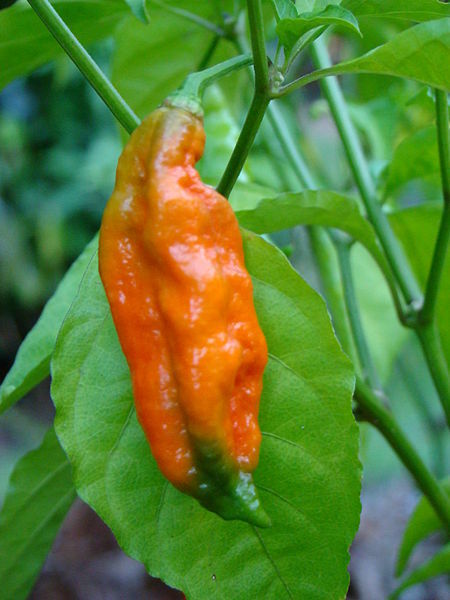 This scorching hot pepper was considered by the Guinness Book of World Records as the hottest chili on the planet (ranked by the Scoville scale) before it was recently passed up by a few competitors (Trinidad Scorpion "Butch T"). The ghost chili can be used in a variety of ways that benefit many lives. Uses in self defense, medical treatments, and food are common everyday occurrences that this chili is utilized for. There is a lot of information about this chili on this site, but a good place to start is in the classification section.